Google has officially announced that Lenovo is indeed purchasing Motorola Mobility from the search giant at an estimated price of $2.91 billion. The rumor mill had barely even had time to get the story out before Google issued a press release stating that Lenovo was indeed purchasing Motorola Mobility. Rumors had estimated the price between $2 to $3 billion, and the official amount came in at $2.91 billion, but will be subject to some adjustments. The deal includes $1.41 billion to be paid now – $660 million in cash, $750 million in shares of Lenovo, and the remaining $1.5 billion to be paid over the next three years. Google purchased Motorola Mobility in Aug. 2011 for $12.5 billion, so it's natural to wonder why Google would take such a large loss after such a short period. According to the release Google will retain ownership over the majority of the all important patent portfolio. Lenovo will receive a license for all of the patents it did not obtain in the purchase, and will also now hold 2,000 other patents. It will also receive all of the Motorola brand assets and trademarks. "Lenovo has the expertise and track record to scale Motorola Mobility into a major player within the Android ecosystem. This move will enable Google to devote our energy to driving innovation across the Android ecosystem, for the benefit of smartphone users everywhere," said Larry Page, CEO, Google. "As part of Lenovo, Motorola Mobility will have a rapid path to achieving our goal of reaching the next 100 million people with the mobile Internet. With the recent launches of Moto X and Moto G, we have tremendous momentum right now and Lenovo's hardware expertise and global reach will only help to accelerate this," said Dennis Woodside, CEO, Motorola Mobility. The deal is not yet finalized as it must receive the customary approvals, but neither company seems to have any fears of it not being completed. Research Triangle Park, North Carolina, and Mountain View, California – January 29, 2014: Lenovo (HKSE: 992) (ADR: LNVGY) and Google (NASDAQ: GOOG) today have entered into a definitive agreement under which Lenovo plans to acquire the Motorola Mobility smartphone business. With a strong PC business and a fast-growing smartphone business, this agreement will significantly strengthen Lenovo's position in the smartphone market. In addition, Lenovo will gain a strong market presence in North America and Latin America, as well as a foothold in Western Europe, to complement its strong, fast-growing smartphone business in emerging markets around the world. 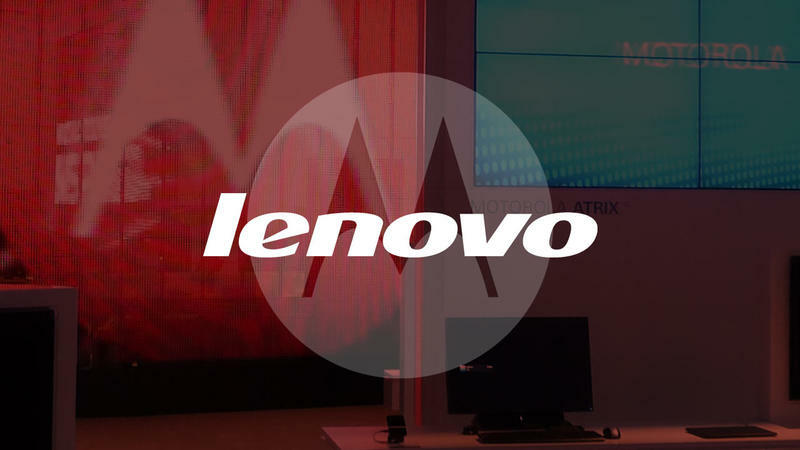 Lenovo, which in 2005 acquired IBM's PC business and its legendary PC brand, will now acquire world-renowned Motorola Mobility, including the MOTOROLA brand and Motorola Mobility's portfolio of innovative smartphones like the Moto X and Moto G and the DROID™ Ultra series. In addition to current products, Lenovo will take ownership of the future Motorola Mobility product roadmap. "The acquisition of such an iconic brand, innovative product portfolio and incredibly talented global team will immediately make Lenovo a strong global competitor in smartphones. We will immediately have the opportunity to become a strong global player in the fast-growing mobile space," said Yang Yuanqing, chairman and CEO of Lenovo. "We are confident that we can bring together the best of both companies to deliver products customers will love and a strong, growing business. Lenovo has a proven track record of successfully embracing and strengthening great brands – as we did with IBM's Think brand – and smoothly and efficiently integrating companies around-the-world. I am confident we will be successful with this process, and that our companies will not only maintain our current momentum in the market, but also build a strong foundation for the future."